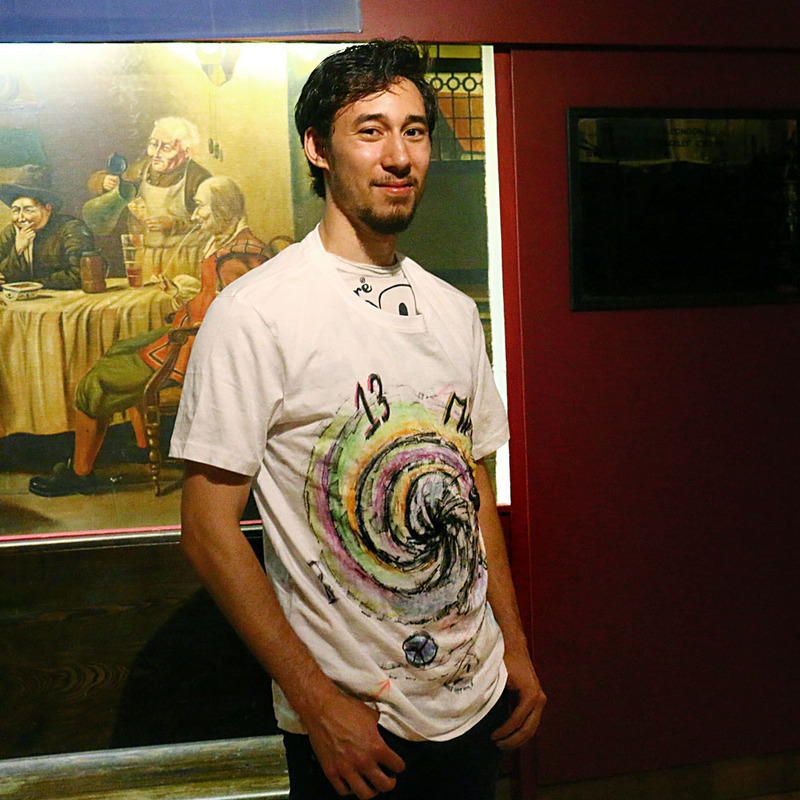 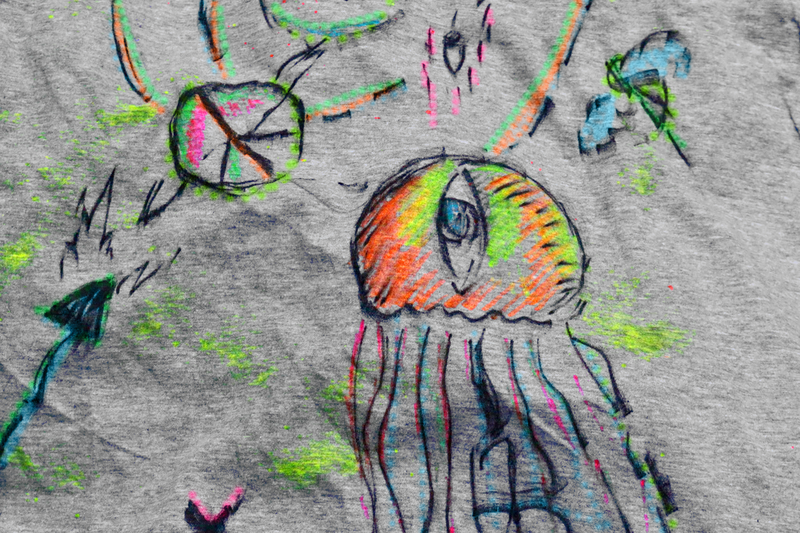 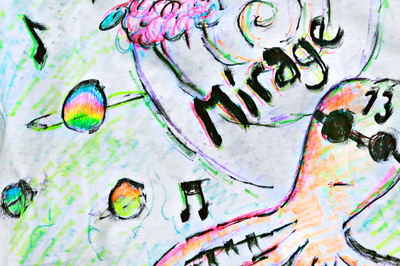 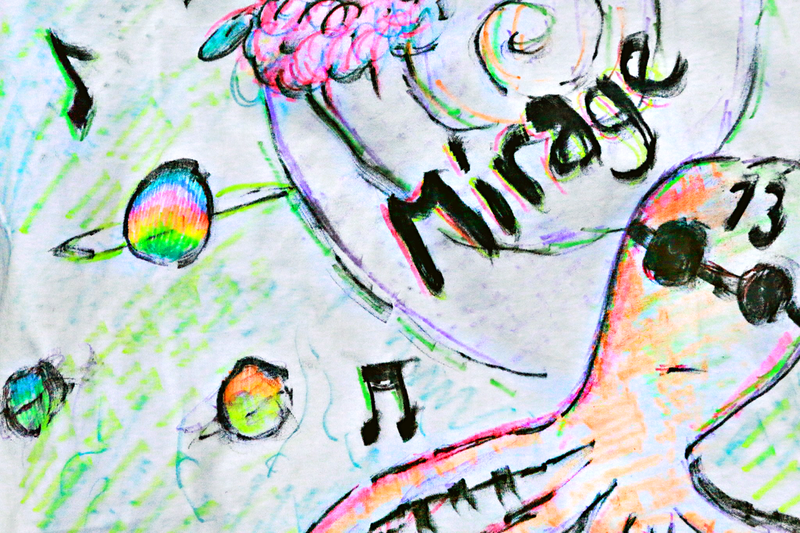 Every t-shirt is uniquely hand drawn by the members of mirage. 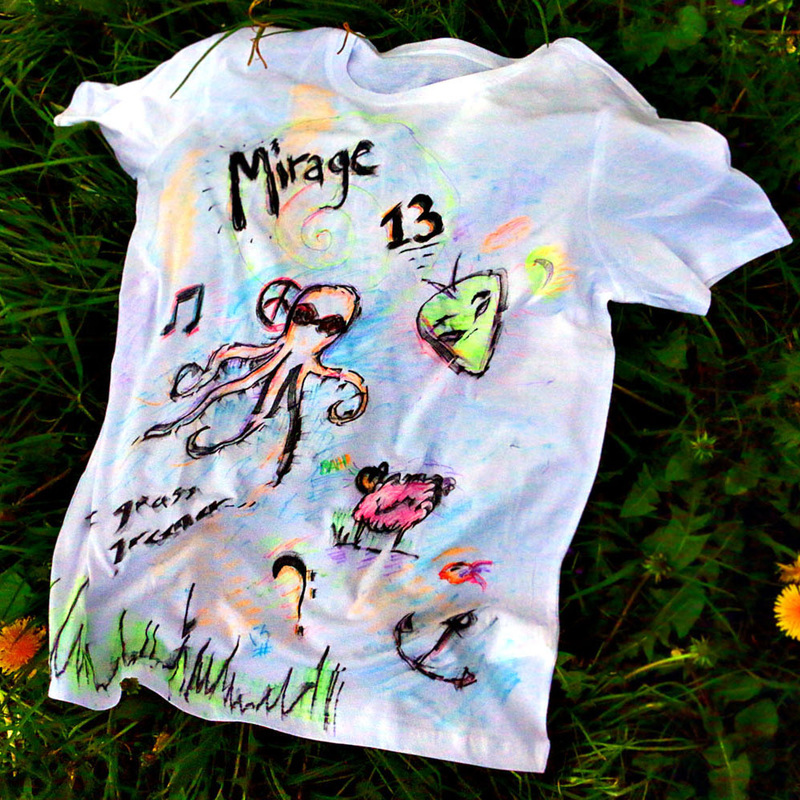 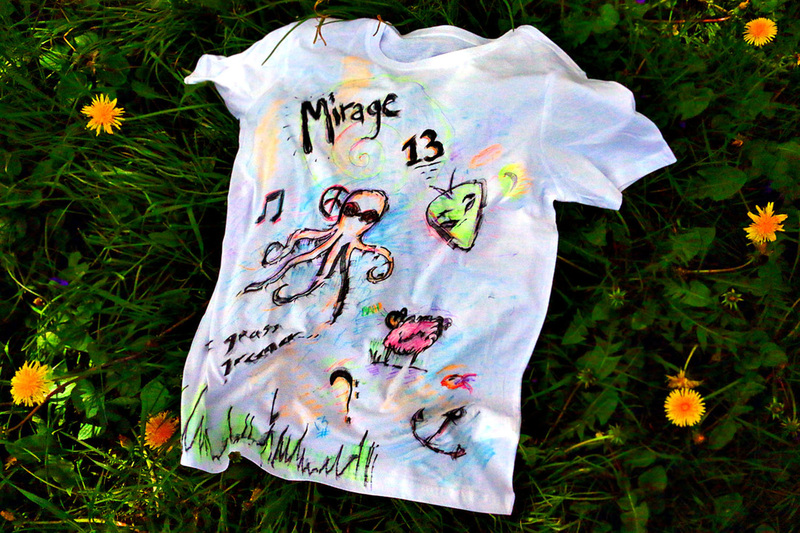 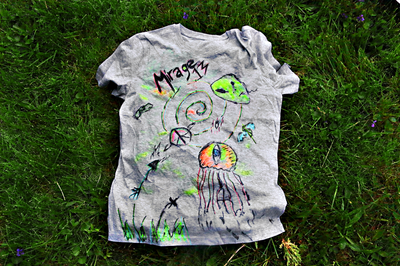 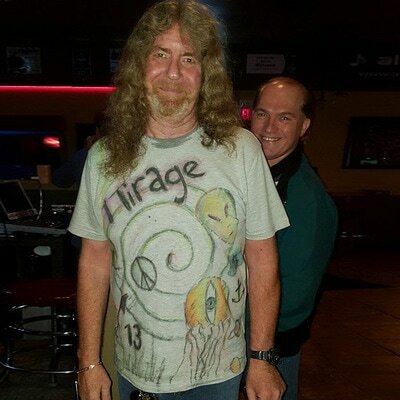 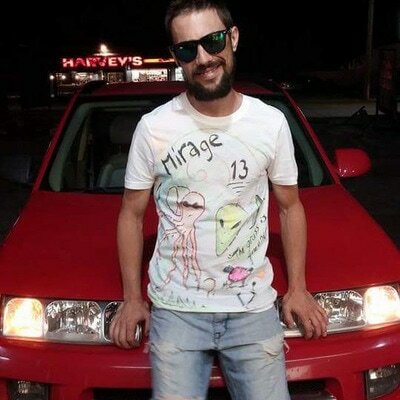 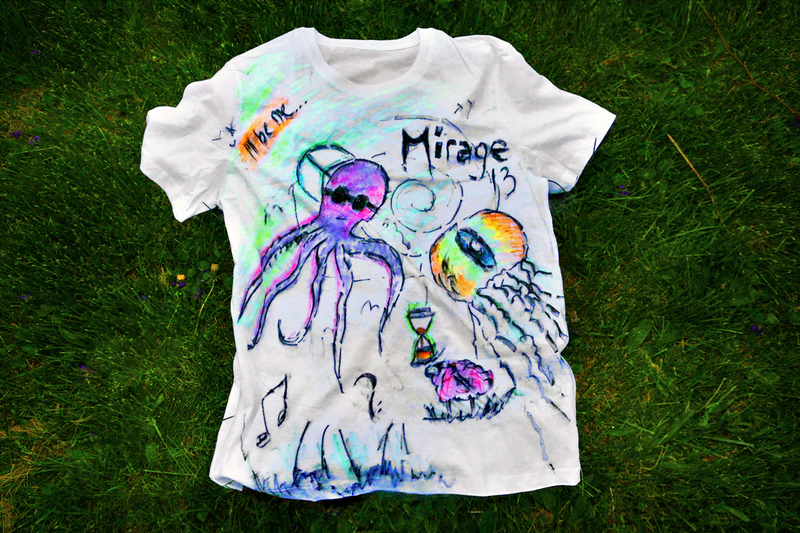 Don't mind it if you get something wackier than the picture [ < the first mirage t-shirt]. 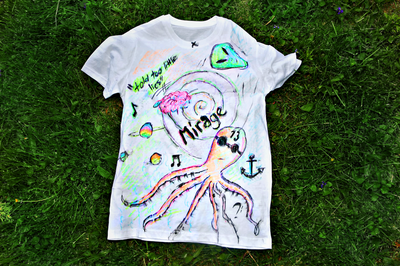 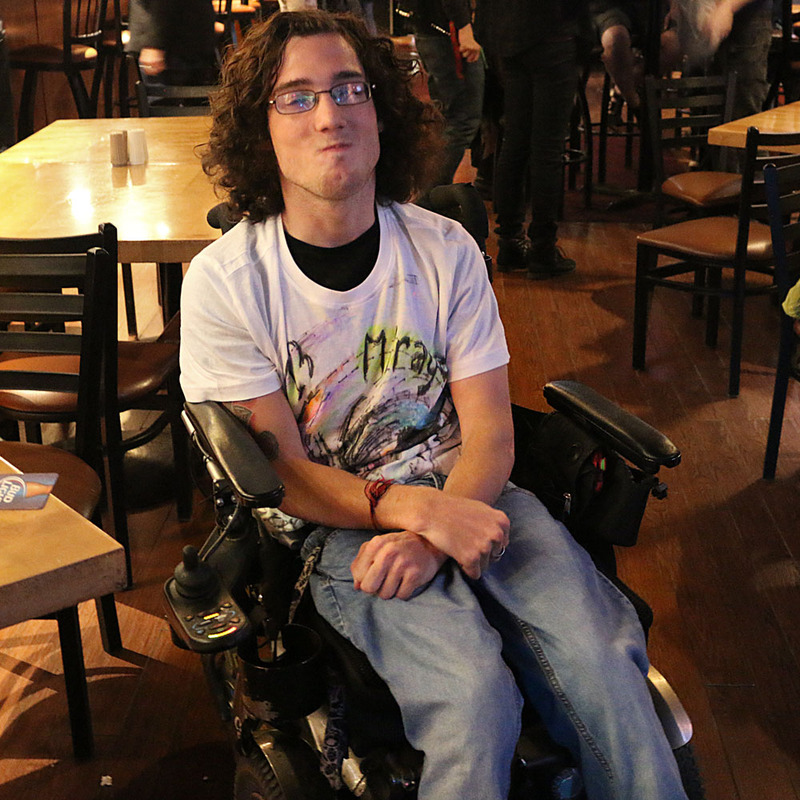 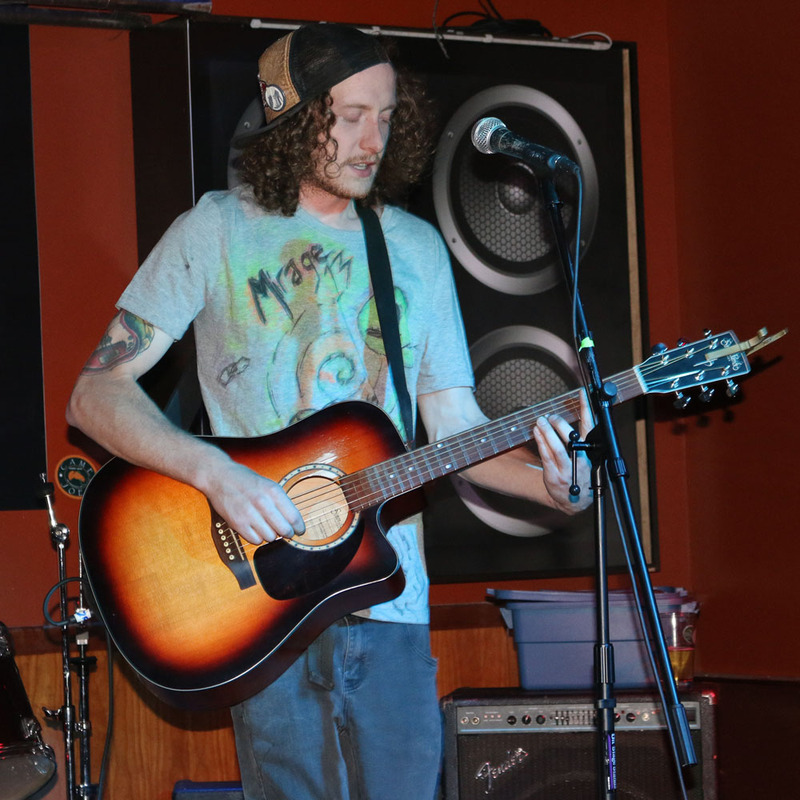 All shirts vary in color + design. 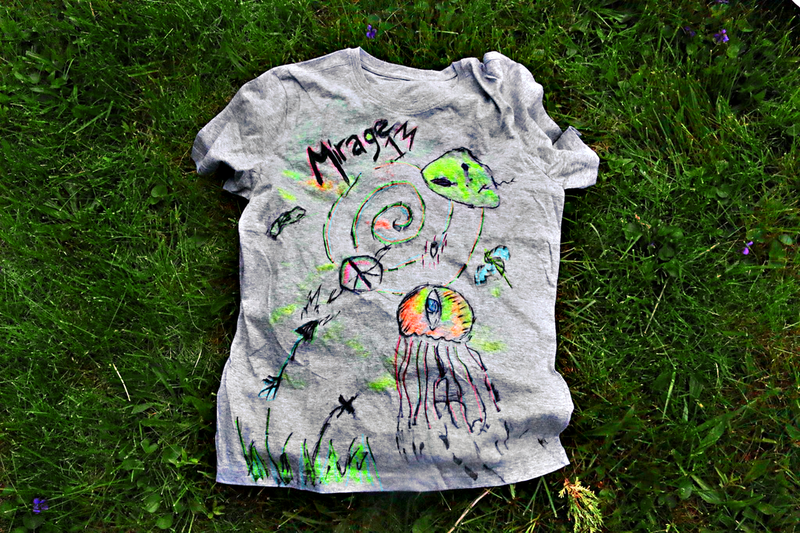 Sizes are for all creatures [+ are unisex].